Agilent Technologies (www.agilent.com) is proud to launch its DSOX93204A high-performance oscilloscope – industry’s best 32GHz true analog bandwidth with 80GSa/s sample rate for two channels and 40GSa/s sample rate for four channels. The oscilloscope has the highest real-time scope measurement accuracy – the highest true analog bandwidth in the market (twice the analog bandwidth than the leading competitor). It has also the lowest oscilloscope noise floor with 2.31mVrms at 32GHz at 50 mV/div, as well as the lowest jitter measurement floor of <150 fS. The real-time oscilloscope is the industry’s first 30GHz oscilloscope probing system with fully customized probe amplifier s-parameter characteristics that provide accurate probe correction for every individual probe amplifier. Agilent’s bandwidth-upgradeable probes allow the user to prepare for evolving probing needs. 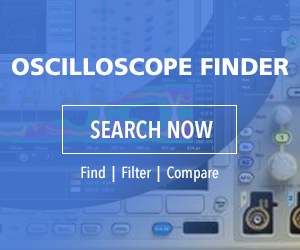 The oscilloscope is deemed as the most comprehensive application-specific measurement. It has the broadest range of jitter, analysis, trigger and protocol tools and features pre-built compliance testing software based on the company’s expertise on the standards committees. It can support emerging technologies such as SATA 6G, SAS 6G, GDDR5, SAS 12G, QPI, DisplayPort 1.2, PCIe gen 3, 10GBaseKR and more. MATLAB software is also available to allow users make analysis routines and custom measurement, instrument applications or user-defined filters. “When you’re deploying emerging high speed serial bus technology, identifying spectral content of wide-bandwidth RF signals, or analyzing transient physical phenomena, you need the truest representation of your signals under test. The Agilent Infiniium 90000 X-Series oscilloscopes are engineered for 32 GHz true analog bandwidth that delivers. By investing in a proprietary integrated circuit process, Agilent has enabled high-frequency capability while yielding the industry’s lowest noise floor and jitter measurement floor,” said the press release. I find your Agilent (HP) announcement fascinating… True analog offers many advantages over digital, since the real world is always ‘analog’ – eg James Clerk Maxwell. Of course the real world is also quantum entangled at the microscopic level. EG electron/positron annihilation.. That drove Einstein nuts, even if he got the Nobel Prize for the quantum photoelectric effect. At the time no one understood Relativity. We mere (non AI) humans input/interpret the universe in analogue mode not digital, even if our slow brains are massively parallel. No human time stamps/c;locks identified, so far..
What sort of electronic probe/cable system do you use, and how long can your oscilloscope cables be to avoid serious signal loss at 0-23 GHz? Are they optical only and not DC?